In 1862, Thomas Nast, a cartoonist for Harpers Weekly, drew an image that has become the image that Americans think of immediately as “Santa Claus.” In the middle of the horrors of the Civil War, he drew this loving old gentleman to represent hope, love and joy during the season of Christ’s birth. Thomas Nast believed strongly in keeping the United States together as a nation and drew cartoons in an effort to support families and their soldier sons on both side of the conflict, during a very dark time in our nation. 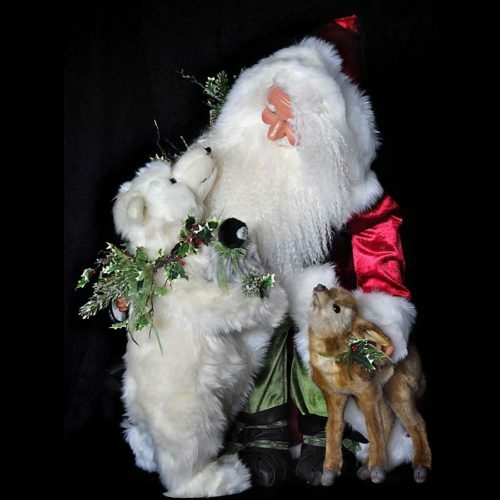 Our rendition of Nast’s drawing would be a wonderful addition to your Santa collectibles. 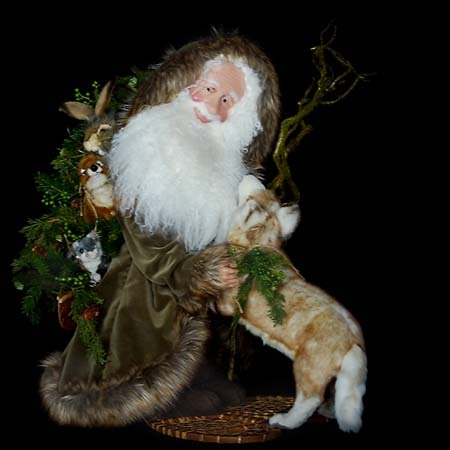 Like all Stone Soup Santa’s, our 26-inch tall Thomas Nast Santa is a handcrafted Santa figure, with a very jovial hand sculpted face of polymer clay. He is dressed in a scarlet mohair outfit, with luxurious faux fur trim. His beard is natural Tibetan wool and signed and dated beneath. His boots are black suede. 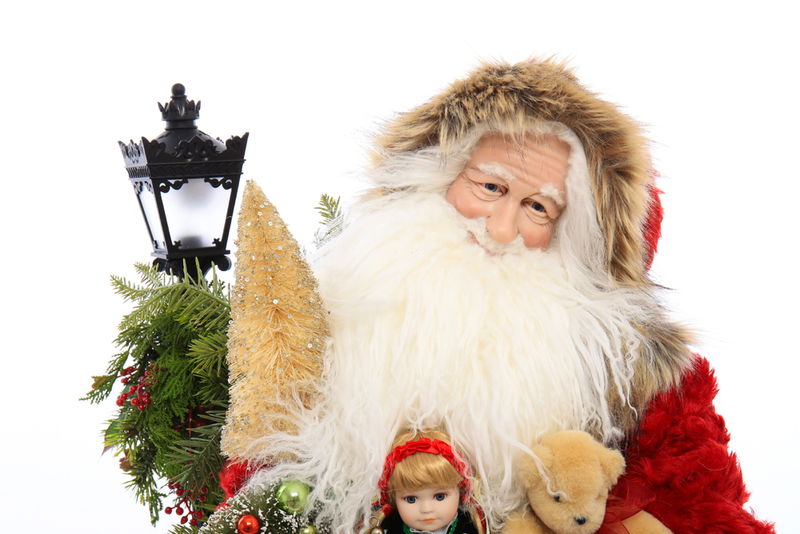 Santa’s arms are wrapped around a delightful grouping of vintage style Christmas toys and decorations. A garland of silk greenery and berries are tied to his back, and he stands beside a streetlamp decorated with coordinating greenery. 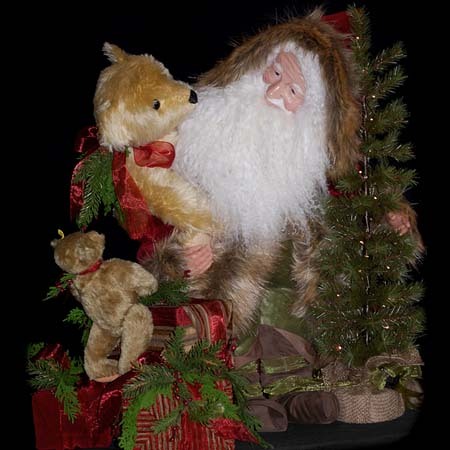 Our Thomas Nast Santa is a perfect American Traditional Santa, who will bring the magic of the season into your home for years and decades to come.